“My dear children, today I call ye again to walk by the road of true love, removing out of hearts all that which is opposed to divine love. Love in pure transformation will only live in ye when the inordinate love of the world, of yeselves, of creatures, gets out of it, only then it will have propitious space in your hearts, to enter there, to dwell and grow in ye. Love in pure transformation seeks souls completely dead to themselves, souls emptied of themselves, oblivious of themselves, selfless to the point of completely allowing Him to do in it all He wants without placing any resistance. Love in pure transformation that is the Holy Spirit Himself, will only enter in your souls when your will dies and then you are completely docile to His Will. Thus, the Holy Spirit will dwell in ye like in a temple, in ye will spread His fragrance softer than pure balsam, will pour olive oil in your souls, purer and smoother than the olive tree, healing in your souls all spiritual wounds, all the wounds that sin has caused in ye and defaced the beauty of your souls. Then, the Holy Spirit will restore to your souls that beauty, that beauty that it had when it was created by God and then your beauty will enchant His divine Eyes and He will be pleased in ye and will live with you. Love in pure transformation will only dwell in ye when all inordinate love of yeselves comes out and gives place to Him, this love in pure transformation rests in pure souls, in peaceful and gentle souls, in the souls that have no vanity, in those who do not let themselves be carried away by the lust of the eyes, by the pride of life, nor by the lust of the flesh, like the dew that descends upon the lilies of the morning, so He also descends and rests on pure souls. 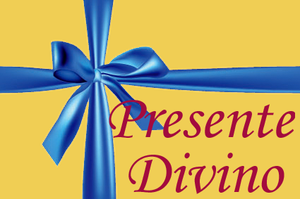 Ye must be these souls, saying yes to everything that over the years I have taught Here and asked so that your souls can open themselves like lilies to the divine dew of the Holy Spirit and your souls can then grow in the holiness that He desires and that He awaits from you. to live and dwell in these souls, and rest with them forever. So, any soul that wants to receive the visit of the Holy Spirit must first know Me, love Me, honor Me, as the Fourth Commandment of God says: honor thy father and mother. 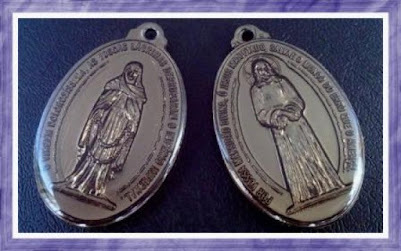 That soul who honors Me will honor the Holy Spirit and the Holy Spirit will come to Her and will live in her, the one who offends Me and who insults Me will offend the Holy Spirit Himself and He not only will not come to her as if He were in her, He will withdraw Himself and will curse her for ever and ever. 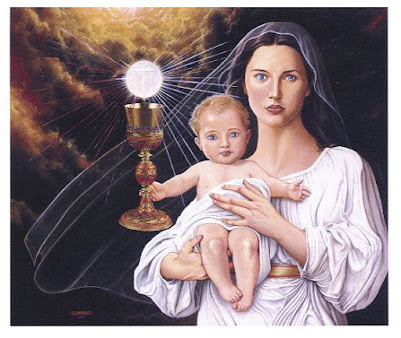 So come, My children, let yeselves truly be possessed by Me, educated by Me, formed by Me on the path of holiness, for by so doing, I will prepare ye like a beautiful and perfumed dwelling, so that My Divine Spouse comes from Heaven and abides in your soul. 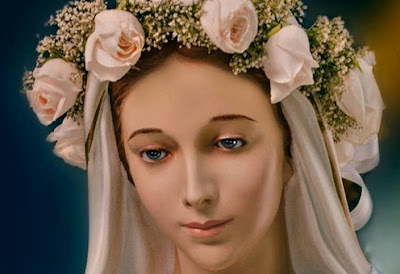 Pray the Holy Rosary every day; with It I purify ye, embellish ye, illuminate ye, perfume ye always more to present ye truly beautiful, pure, innocent and luminous so that the Holy Spirit delights in ye and comes live in ye. Continue with the Hour of Peace and all the other Hours of Prayer that I gave ye Here. He who loves the Hour of Peace loves Me; he who despises the Hour of Peace despises Me. 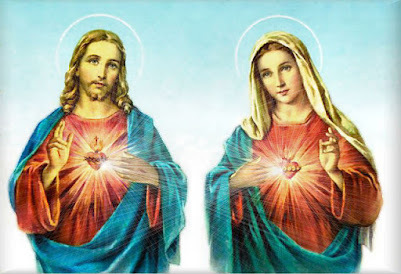 So, pray these prayers so that I can narrow even more the mystic ties that unite your souls with My Heart and may thus hasten the historical second descent of My Divine Spouse, the Holy Spirit, upon the whole world and upon your souls. Here, in this Place, in the person, in the labor, in the work of My little child Marcos, I am deeply glorified, I am completely comforted and perfectly loved. In each work that comes out of the heart and the hands if this child of Mine, My splendor, My glory shines for all My children in order that all of them seeing My light can escape from the darkness of sin and find Me and with Me find the God of salvation and of peace. 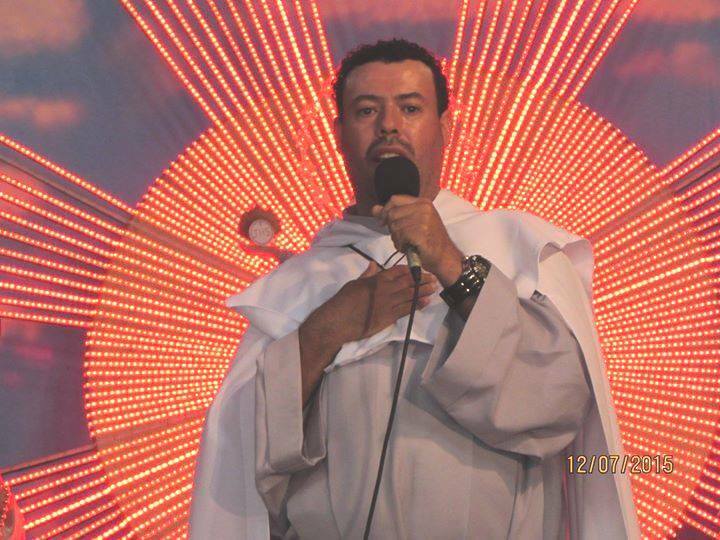 In the labor and in the work of My little child Marcos, I reflect My great light that will become increasingly more intense the more dense is the darkness covering up all the things. Truly Here, in in this son of Mine, I am exalted, I am glorified and My fruits can be seen and savored in the fruits he abundantly gives. 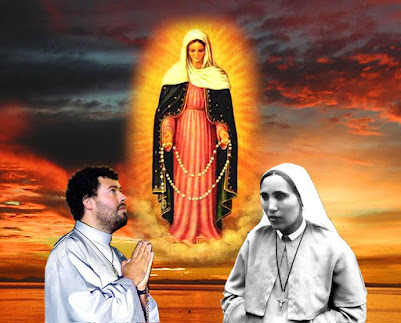 Therefore, as I have said a short time ago in My Apparitions Here, I say again: Because My child Marcos made the Video of My Apparition to My little daughter Mother Mariana de Jesus Torres as the Lady Good Success and made Me thus known and loved by thousands and thousands of My children, I promise, to hasten the Hour of My Triumph. I also promise this year to perform wonders as I have never done before in your lives, I promise to pour a greater infusion of My graces, of the graces of the Holy Spirit, of Mu Flame of Love over ye, over Brazil, over the whole world, I also promise to pour a most special abundance of graces over My children who truly help My son Marcos, love all the Apparitions that he puts in video offers to you and those who together with him suffer, work and fight will truly have this year a flood of new blessings descending without ceasing from My Heart upon everyone, upon all of them, upon all these children of Mine. When a soul ascends itself, it ascends the world, when the soul grows in holiness before the Lord, the Lord who does not allow Himself to be defeated in Mercy, pours upon the whole world a shower of graces and a true flood of His Divine Mercy. Pray, pray more, for only through Prayer you will be able to make the mystical rose of perfect love grow in ye, produce the suave perfume of holiness and of perfect and holy works for the greater glory of the Most Holy Trinity and the glory of My Name that Here in these Apparitions, now, must shine with the radiance much greater than that of a thousand suns together. Go forward, My children! 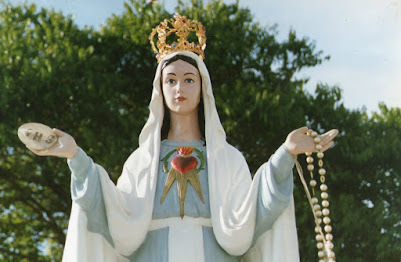 I Am with you, in your sufferings fear not, non avete paura, because My Immaculate Heart follows each step and knows each tear that falls from your eyes. I Am with you, Io sono com voi. Do not be afraid. “My beloved brethren, I, Aloysius Gonzaga, exult with joy for being able to come give ye My first Message. Oh, how I love ye! Oh, how I care for ye! 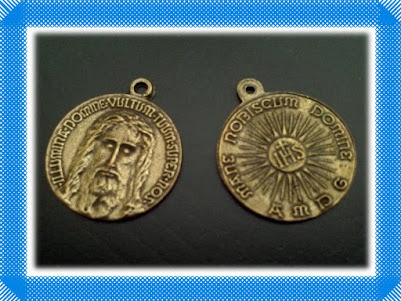 Oh, how I want to help ye to come to high holiness for the greater glory of God, of the Immaculate Virgin and of Saint Joseph, therefore I say unto ye: Renounce all sin, because sin kills the life of sanctifying grace in your souls. Deplore sin, leave sin once and for all, so that Satan can have no influence over ye and so that thus, the influence of the Holy Spirit increases so that with His divine influxes propel always more your souls always more forward on the road of holiness. 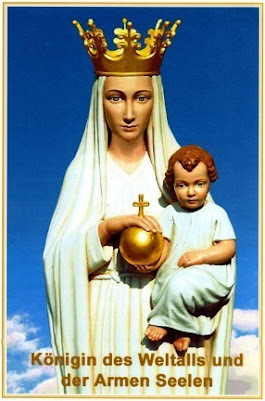 Renounce all sin, for sin cuts the divine link that unites ye to the Lord, that unites ye to the Mother of God and with this, ye lose the graces necessary for your sanctification, making ye increasingly tepid, languid and increasingly obscured by the darkness of evil. 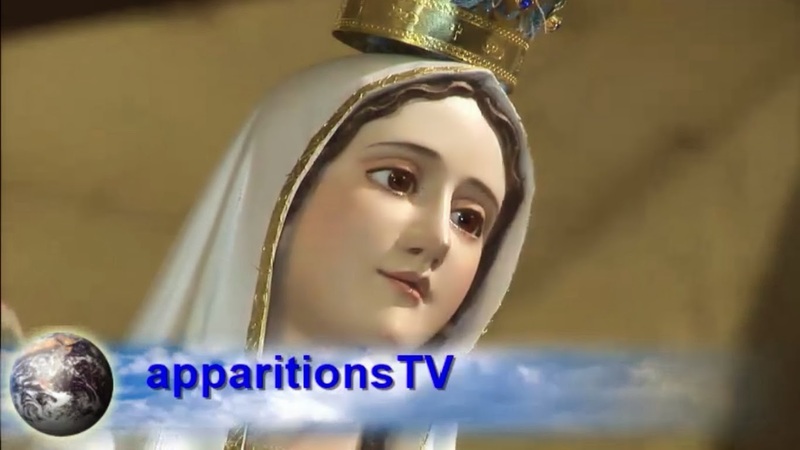 If you renounce sin, your soul, well united, bonded to the Lord and to the Mother of God, will receive from Them the inflows necessary, the graces necessary for your sanctification, and so I say unto ye say: Not even all of Hell could do anything against you. If your love is true, if your love is faithful and pure though you have minor defects on your person, it does not prevent ye of being saints, not even the deprivation of so many things that you love will prevent ye of being saints. Love, the true love within ye will be decisive for your sanctification. Be not of those who strain out a gnat and swallow a camel, ie, who worry about vain insignificant things and allow sin to grow ever more in your soul. Oh, no! Do not live in peace with your sins, because if you do this, your souls will certainly condemn itself. 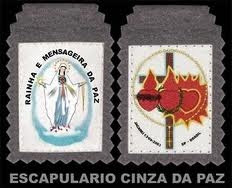 Make war against your defects and sins and alongside prayer, grow increasingly in good works before God. It is worth little and nothing to pray but not make war against your own defects and sins. It is worth little and nothing to maintain an exterior appearance of being a servant of God if the interior is completely eaten away by the termite of sin, especially of those sins that ye do not mortify, against which you do not fight and that you silently allow to corrode your soul like a voracious termite. Oh, no! Extirpate even the smallest sin from your hearts so then, it is beautiful, pure, holy, integrate, honest, true servant of the Lord and then your prayer will be accepted by the Lord with satisfaction and pleasure. 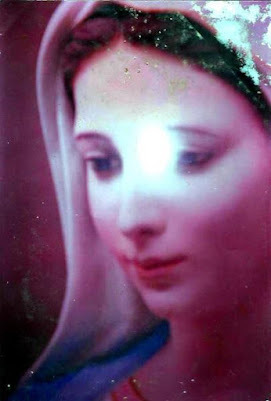 Then, She will perform in your lives Her Plan of Love and even many graces that ye ask Her in prayer. Prayer is only pleasing to the Lord when it is accompanied of the yes from the heart, of the sincere effort to overcome sin, fighting defects, of growing in the path of holiness. If you at least have this pure intention, this desire is already enough for your prayer to be welcomed in Heaven and perform great miracles in your life, great graces resounding of love. I, Aloysius, ask ye: Renounce all sin, because sin is the causer of every evil, sorrows, discords, wars, tragedies and unhappiness that exist and happen in the world. If men renounce sin, they would be blessed by God and God would give them a life so harmonious, so beautiful and so peaceful as the one that the early Fathers had in Paradise. 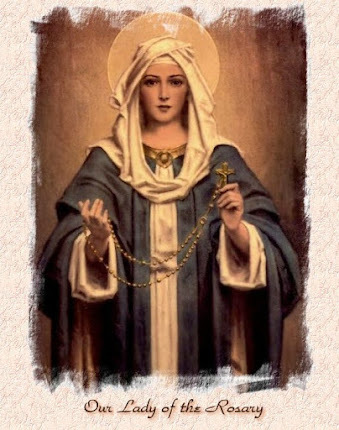 Propagate more the Holy Rosary, because the Rosary extirpate heresies, will combat vices and sin, will give souls the interior strength to renounce all type of sin and always more answer yes to the Lord. 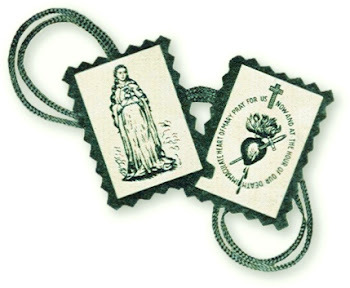 Continue with the Chaplet of Tears of Blood, with the Hours of Prayer that the Sacred Hearts asked ye to do Here, because with these prayers, your souls are strong, the prayer groups are strong and through your prayers, the devil is always more defeated in the world. 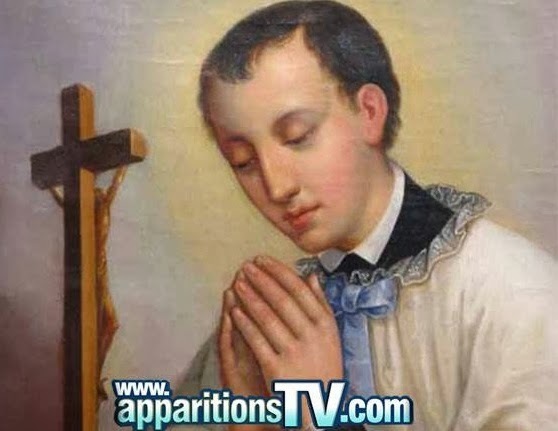 I, Aloysius, promise to pray for all of ye along the Sacred Hearts, to obtain for ye the necessary graces for your sanctification, but ye pray too, much of what I will be able to achieve for ye depends not only on My Prayer, but also of yours, so, we pray together and achieve the miracle of Divine Mercy for this world fallen into sin. And then, families, the youth, society, the children, the Church that is now like a leper full of wounds, opened in her by her own pastors, the bishops and priests who welcome in her interior: the errors of progressivism, of modernism, of communism, of Protestantism and of so many infernal evil together. With Our Prayer, we will achieve the miracle of Divine Mercy that will make the Church and humanity wounded to death will resurrect to a new time of holiness and of grace that We in heaven request every day for ye and want so much to being for ye. Upon this Shrine, upon this Sacred Site, today descends an abundant shower of blessings form the Sacred Hearts of Jesus, of the Mother of God and especially of Saint Joseph, because today He looks with satisfaction, com predilection and with utmost joy to the great Image of His Most Loving Heart placed Here in the courtyard of this Shrine. Yes, through this new Picture, Saint Joseph’s Heart will multiply even more His Graces, His blessings and will convert many hardened hearts. Truly I say unto ye: Whosoever kneels before this Image with a sincere heart and supplicates the help of Saint Joseph, to this soul, to this child will be shown the safe road of holiness and this soul will walk with a firm step on the road of perfection, because not only Joseph, but I too and all the Saints of Paradise will take the hand of this person and We will lead this soul safely to the glory of Heaven.